DYNAMIX SR Series Cabinet Plinth. 100mm high. Suites 600 x 600mm SR DYNAMIX SR Series Cabinet Plinth. 100mm high. Suites 600 x 600mm SR server cabinet. DYNAMIX SR Series Cabinet Plinth. 100mm high. Suites 600 x 800mm SR DYNAMIX SR Series Cabinet Plinth. 100mm high. Suites 600 x 800mm SR server cabinet. DYNAMIX SR Series Cabinet Plinth. 100mm high. Suites 600 x 900mm SR DYNAMIX SR Series Cabinet Plinth. 100mm high. Suites 600 x 900mm SR server cabinet. DYNAMIX SR Series Cabinet Plinth. 100mm high. Suites 600 x 1000mm SR DYNAMIX SR Series Cabinet Plinth. 100mm high. Suites 600 x 1000mm SR server cabinet. DYNAMIX SR Series Cabinet Plinth. 100mm high. Suites 600 x 1200mm SR DYNAMIX SR Series Cabinet Plinth. 100mm high. Suites 600 x 1200mm SR server cabinet. DYNAMIX SR Series Cabinet Plinth. 100mm high. Suites 800 x 900mm SR DYNAMIX SR Series Cabinet Plinth. 100mm high. Suites 800 x 900mm SR server cabinet. DYNAMIX SR Series Cabinet Plinth. 100mm high. 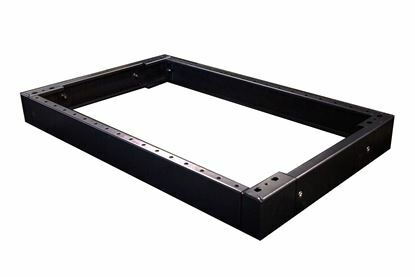 800 x 1000mm SR server DYNAMIX SR Series Cabinet Plinth. 100mm high. 800 x 1000mm SR server cabinet. DYNAMIX SR Series Cabinet Plinth. 100mm high. Suites 800 x 1200mm DYNAMIX SR Series Cabinet Plinth. 100mm high. Suites 800 x 1200mm SR server cabinet. DYNAMIX SR Series Cabinet Plinth. 100mm high. Suites 800 x 800mm SR DYNAMIX SR Series Cabinet Plinth. 100mm high. Suites 800 x 800mm SR server cabinet.